Hope everyone had a good weekend. As usual I feel like it went by way too fast. I sooo miss the 3-day weekends of my college days. As I mentioned on Friday I am going to be sharing my review of What Alice Forgot today, as well as linking to Julie's review at Peanut Butter Fingers (to be posted tomorrow). I finished the book in just a few days the weekend before Christmas, and I should have written my review then. However, I jotted down lots of notes on the airsickness bag (that is the nicest way I can say that, eww) from my flight to Oklahoma so we should be good. The story revolves around Alice Love and an accident that leaves her forgetting the last ten years of her life. The book follows Alice's recovery and her quest to regain the memories she has lost. However, as Alice's past slowly comes back to her, she realizes there are certain memories she would rather stay forgotten. This begs the question to the reader: If you lost all memory of the last ten years of your life, would you want those memories back or would you use your loss as an opportunity to start over? The novel alternates between three writing styles: a third person narrative of Alice's life, Alice's sister's journal that she writes for her therapist, and Alice's grandmother's letters to her late fiance. These three styles offer different perspectives on the situation, and the reader has to use information from all three to piece together the full story. The part of the novel that hooked me and kept me wanting to read more was the element of suspense and the desire to uncover pieces of Alice's forgotten past. The reader knows only slightly more than Alice does, which makes you just as curious as she is to discover her lost memories. There are hints to memories Alice can't quite recall, including some her family is hiding from her for various reasons; but by the end of the book everything has come to light. I don't want to give away too much since some of you may still want to read the book, but I will say that I would definitely recommend it. The fact that I read the book in just a few days is always a good sign. I pretty much had my nose in it at any unoccupied moment during my trip. Also, I just read that the film rights have been sold to Fox, so you know it's gotta be good! I've read talks of Reese Witherspoon or Jennifer Aniston playing the role of Alice, but I don't think anything has been decided yet. Julie's book club will be reading this book next, which I just ordered for myself. Love me a book about family secrets (especially this one and this one). What's the best book you've read recently? If you had a 3-day weekend would you take off Friday or Monday? I am club Monday all. the. way. Wow! I didn't know that Fox bought the rights to this movie! I really enjoyed the book, it was an easy & entertaining read! Yep! 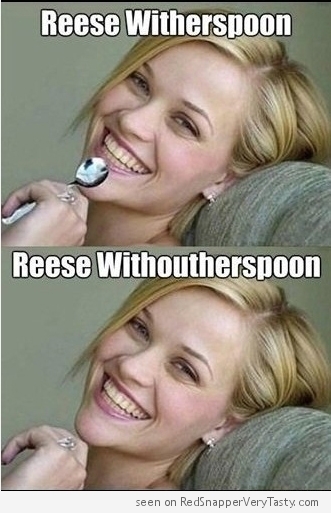 Not sure how I feel about Reese or Jennifer. I'd say Jennifer over Reese just based on looks, but I don't think either of them would be my first choice. Fun to try to predict who they would cast though.